Joyce was born to parents Harvey & Louise (Schultz) King on February 5, 1930. She was the youngest of three children. She grew up in Minneapolis. As a girl, Joyce loved going to the movies with her brother Harvey and sister Betty. They’d always save a nickel, so they could enjoy a White Castle burger on their way home. When Joyce was 10 years old, her father died suddenly. This was very hard for their family. Joyce left school after 11th grade and began working to help support her family during this difficult time. A few years later, Joyce met and married Robert Bond. They settled in Bloomington to raise their family. They were blessed with three wonderful sons, Rob, Craig & Dave. As a family, the Bonds took many memorable road trips across the country. They enjoyed camping in Wyoming, California and every state along the way. Joyce even went fishing with her boys on some of these trips. Later in life, Joyce and Robert enjoyed “glamping” near Mille Lacs. Eventually Robert & Joyce went their separate ways, but always remained close for their boys. Joyce loved spoiling her boys. She was always showering them with love, supporting them in their endeavors or preparing a special meal for them. Joyce was an excellent cook. She was known for many signature dishes like pizza burgers. Joyce put her talents in the kitchen to good use. She worked as a cook for Bloomington Schools for many years. 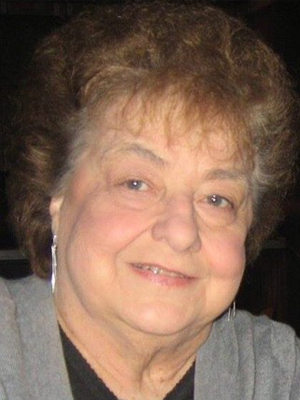 In her free time, Joyce loved playing BINGO at Mystic Lake and Treasure Island. She always seemed to have Lady Luck on her side. Over the years she won a car and a $10,000 jackpot. Joyce also enjoyed spending time at home with her cats. But the most important thing in Joyce’s life was her family. She loved her sons and grandkids, and she was so proud of all of them. Joyce called every family member on their birthday to sing “Happy Birthday” to them. Everyone will miss Joyce’s off-key and silly version of the song on their birthday. Joyce was a kind and loving woman. She was always supportive and encouraging of her family. Joyce will be remembered always by her sons, Rob (Barb) Bond, Craig (Beth) Bond & David (Patti) Bond; 7 grandchildren and 4 great-grandchildren.